Families and Babies (FAB) is a registered charity that provides one to one peer support to all antenatal and breastfeeding mothers offering a mum-to-mum support service. 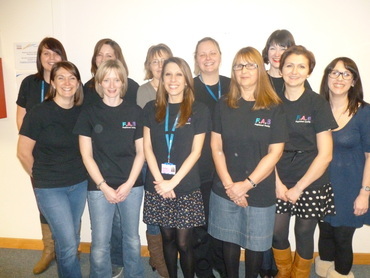 FAB supporters are mothers who have a passion for breastfeeding and have completed peer support training including the BFI 2 day Breastfeeding Management course, ensuring they have good skills and knowledge. 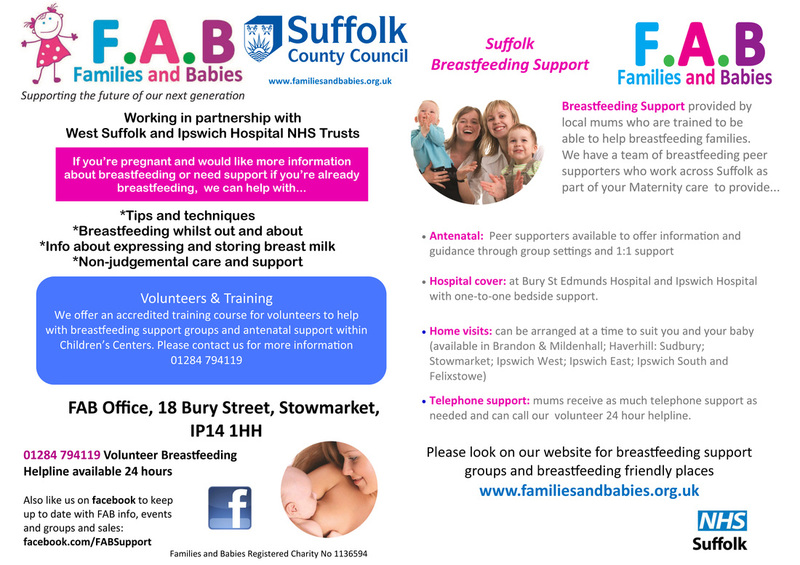 FAB has recently been commissioned by West Suffolk NHS Hospital Foundation Trust to provide breastfeeding support 7 days a week on the hospital ward and within families homes once they are discharged. This support is offered for a minimum of 6 weeks and then for as long as every breastfeeding mother would like. FAB peer supporters are integrated within maternity services working in partnership alongside the midwifery and health visiting teams. They also work in partnership with the Children's Centres and other voluntary groups- signposting mothers to additional services as appropriate.